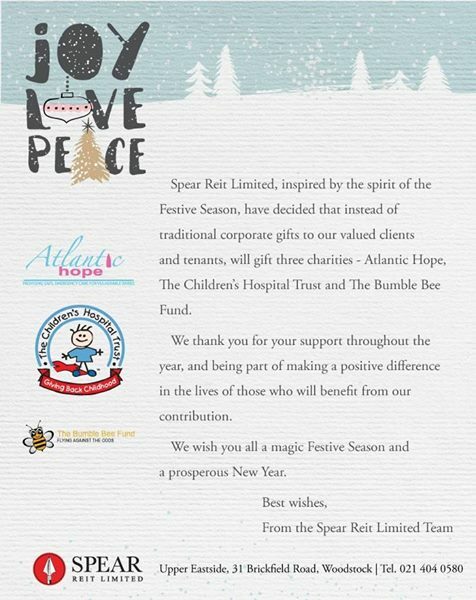 Thank you so much to Quintin Rossi, one of the directors from Spear REIT Limited, for nominating the Bumble Bee Fund as a recipient for a Christmas Donation. Quintin is also one of our CTCT cyclists, riding for the Bumble Bee Fund and making a difference in the lives of our beneficiaries. Huge thanks Spear REIT for the awesome donation.